Weight 130g / 4.6oz Pretty light if you consider it comes with a lid. When buying a pot, a lid is essential as it stops the pot from losing heat and wasting gas. Capacity 850ml Great size for one person and suitable for 2 people if you’re smart when planning your cooking. 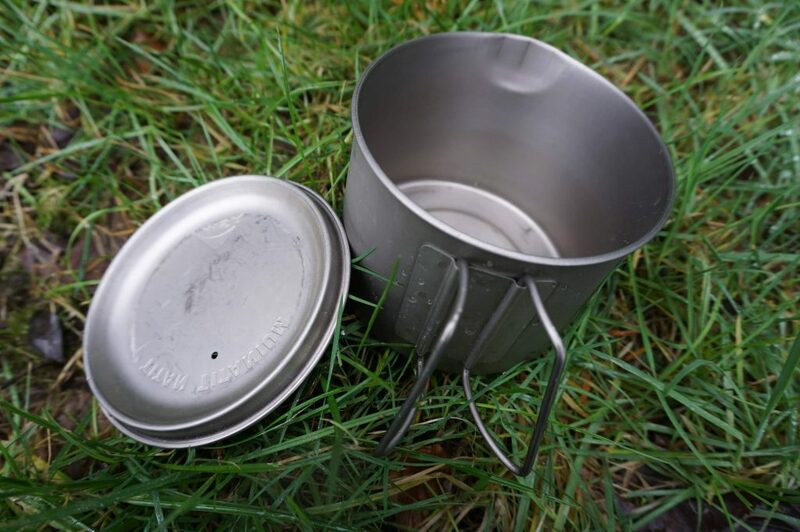 Dimensions 120mm diameter x 90 mm depth It’s a bit wider than other titanium pots, but that allows it to be steady on your stove which is essential with ultralight stoves that are notoriously wobbly. 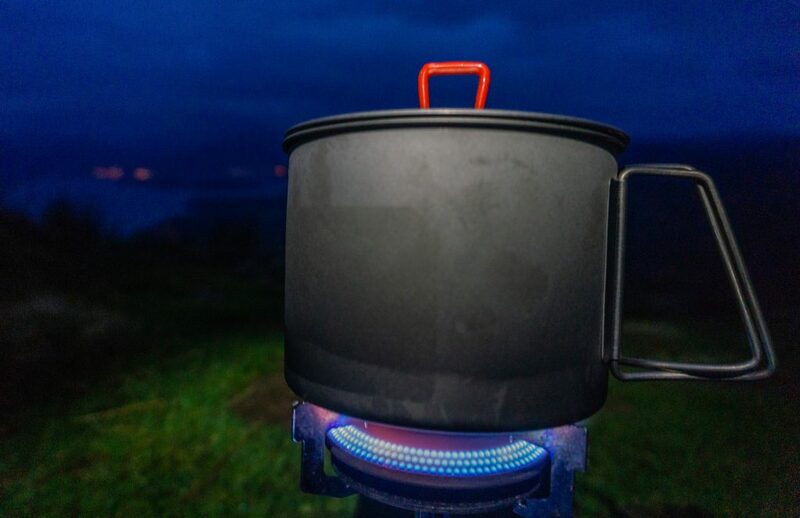 I bought the MSR titanium kettle for my hike of the West Highland Way and I have to admit, I haven’t stopped using it since then (this includes drinking my tea out of it when I’m inside working on my computer). So, what is so good about it? First, the size is perfect. 850ml is a good size for a decent mug of tea/coffee . It’s also a generous size for one portion of food. What more, it’s big enough for 2 people if you cook something simple like cous cous (or anything that doesn’t need too much stirring or fussing around with spices and a stick blender). Second, the design is really clever. The lid fits so perfectly that if you need to strain pasta or a cowboy coffee, you don’t have to worry about the lid coming off. The lid’s handle is coated in plastic so you don’t get burned. Obviously, plastic can melt and I read that people were complaining about it. Well, I’d really like to see them cooking, as I can’t imagine how someone would manage to burn the top of the lid unless they put it upside down on a stove. The pot is wide enough to be steady on your cooking stove but it’s not so wide that you feel like you’re drinking from a frying pan. 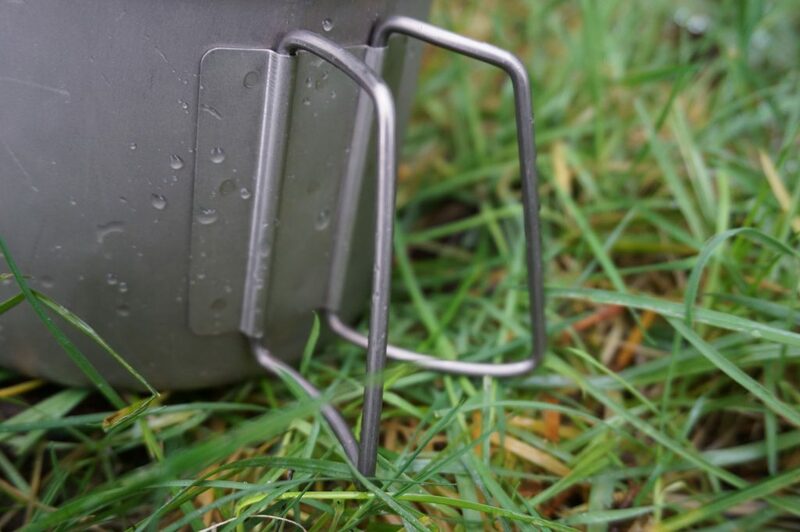 The inner corners of the kettle are nicely rounded so you don’t have to worry about food getting stuck and burning. The kettle fits a standard gas canister inside. Third, the weight is amazing. I know that’s the same for almost every titanium pot, but considering the price, I was a little bit worried if it’s going to worth the investment. And yes, it was totally worth it. As with every pot made out of titanium, it conducts heat very well. It’s easy to burn your food but if you stir while you’re cooking, you’ll be fine. Drinking from the kettle immediately after boiling water is not really possibly. The corners get too hot but after about a minute or two it’s cold enough that you can start drinking. But I don’t think this is a problem at all as our bodies are not well designed for drinking boiling water anyway. There are lots of titanium pots at the market. Some of them are quite cheap but the quality will suffer as a result. Don’t try to save money on this piece of gear. I know a guy who’s had the same titanium pot for 30 years. I like to be frugal, but not for something that has the potential to last a lifetime. MSR is a one of the TOP outdoor gear companies and I don’t think you can go wrong with any of their equipment, including the MSR kettle. And yes, I use it for tea in my everyday life. 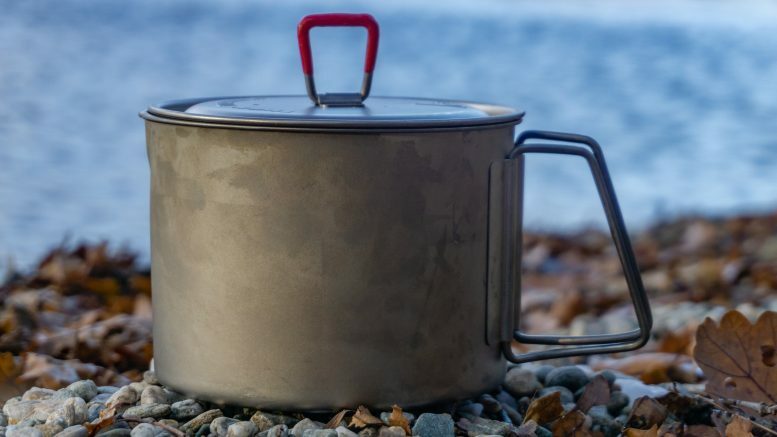 The great thing is that I can be sure that none of my flatmates will ever use it as everybody immediately knows that that titanium pot in the kitchen is from that hiking weirdo next door. A bit pricey, but otherwise great piece of quality kit that has potential to last you forever. Its size totally satisfy me. I fell for the pot so much that I’ve been using it at home too. 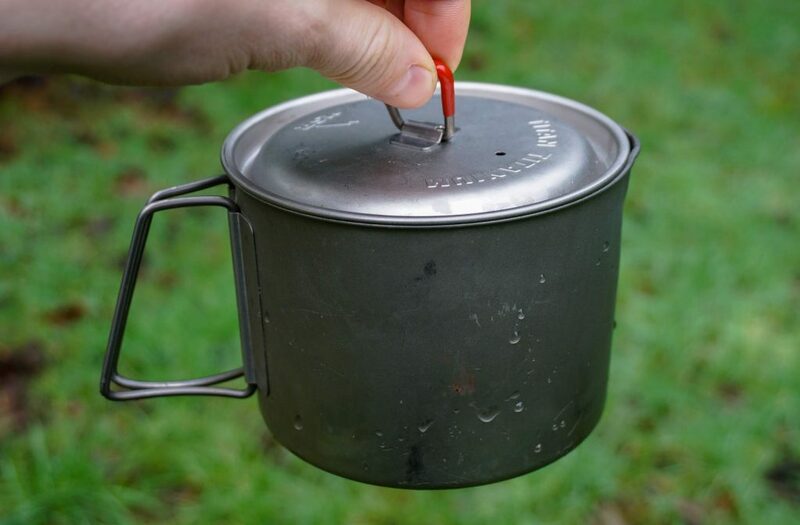 Be the first to comment on "Gear Review: MSR Titanium Kettle Review"